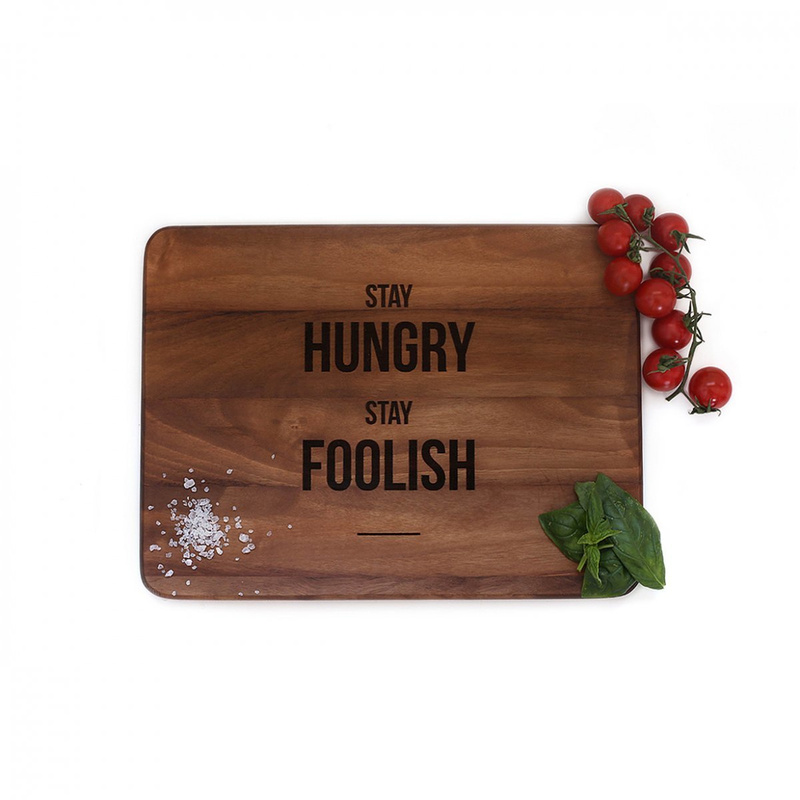 The Stay Hungry Stay Foolish cutting board: a beautiful quotation engraved in wood! 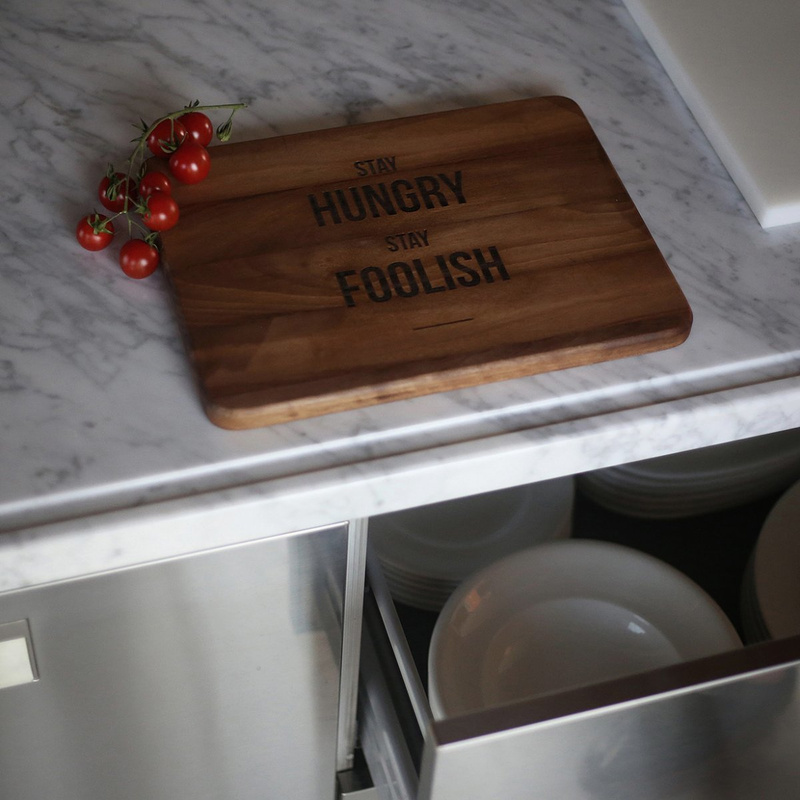 The Stay Hungry Stay Foolish cutting board is a beautiful piece by Engraved House, a young Italian brand that will surprise you thanks to its eye for detail and its ability to enhance the natural beauty of wood. Engraved House manufactures exclusively by hand at its headquarters workshop in Italy, and the Stay Hungry Stay Foolish cutting board is no exception, as you can see from the accuracy of the engraving. "Stay hungry stay foolish" is a quote that has become very popular in recent years and is likely to be remembered by future generations as well, said by Steve Jobs, the late CEO of Apple, in a speech dedicated to graduates. To be "hungry and foolish": the idea Jobs wanted to convey was for young people to follow instinct, even if that meant taking alternative paths, if that was done with passion and determination. The decorative writing is definitely the protagonist in the Stay Hungry Stay Foolish cutting board, but other aspects of the piece deserve too to be mentioned: for example, the natural wood veneers do not go unnoticed, and even the shape of the object is very harmonious with its soft and rounded corners. This piece by Engraved House is intended for everyday use, at home, in a restaurant, in a lounge bar or even in a different kind of room as the cutting board features a side to prepare food on and another more decorative one, i.e. the one with the writing. On such a cutting board you can therefore serve the most varied dishes, from cheeses to cold meats; you can also put it on display on a shelf or cabinet when not in use. 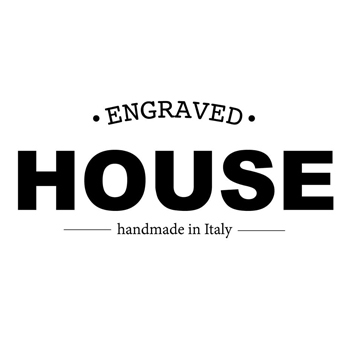 Engraved House is a small Italian workshop where two artisans, Damiano and Giovanni, create wooden cutting boards for the kitchen. Words and sentences engraved are thought for and dedicated to those who love to leave messages in unexpected places. All products by Engraved House are handcrafted and entirely made in Italy.